New research has shown companies pay just €250 in tax a year. 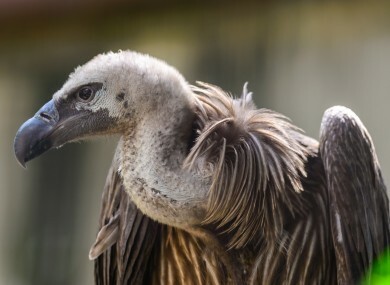 AN ANALYSIS OF the company filings of 15 Irish subsidiaries of global vulture funds has found that they pay just €250 a year in tax. This is despite the companies having in their control €10.3 billion worth of loans and debt in Ireland. In total, the 15 companies have paid just €8,000 in tax. It is estimated that the loss to the Irish Exchequer is up to €500 million in just two years. The analysis comes from the UCD School of Social Policy, and will feature in tomorrow night’s RTÉ programme on vulture funds, The Great Irish Sell Off. A more comprehensive look at the research featured in this morning’s Sunday Business Post. The data featured in the Business Post found that 24 Irish subsidiaries of so-called vulture funds had paid less than €20,000 in corporation tax over the past two years. This is despite the companies controlling almost €20 billion in distressed assets. The analysis found that the 24 companies as well as their Irish subsidiaries will be able to make profits of 33% to 50% on their initial investment. Vulture funds purchase distressed loans and assets and try to maximise their profits. In some cases these can be groups of residential mortgages as well as business loans. For example, last March the issue garnered a lot of public attention when residents of a housing estate in Tyrrelstown faced eviction when debts on their properties were bought out by a Goldman Sachs subsidiary. Earlier this month, Finance Minister Michael Noonan said that the Central Bank does not keep stats on how many business loans are owned by vulture funds. Email “Vulture funds pay just €8,000 in tax on €10 billion of assets”. Feedback on “Vulture funds pay just €8,000 in tax on €10 billion of assets”.